Two weeks ago I wrote that August tended to be a quiet period filled with small stories that would otherwise not make their mark. It's fair to say this year has been an exception with the recall of Parliament after the unprecedented rioting and looting in Britain's cities. This week, the Prime Minister has moved the debate on from looting and police tactics to a more fundamental debate about where things have gone wrong in our society and the iniquitous influence of gang culture in some of our inner cities. It has given him the context to add fresh impetus to an agenda that he has championed from the start. When David Cameron was running for the Conservative leadership six years ago, his central message was the need for 'shared responsibility' - that government couldn't solve problems alone and that we needed to strengthen more traditional ties in our communities. That idea evolved into the 'responsibility revolution', then 'social responsibility' and finally 'the Big Society'. But whatever they choose to call it, the ingredient is the same: responsibility. The Big Society has often been criticised as woolly. This problem was compounded by the fact that, once it became the totem of an ascendant Conservative Party, every lobby group with a vested interest in maintaining the status quo suddenly started insisting that they were the sheer embodiment of the Big Society, which muddied the water. The challenge has always been how to communicate a concept that is less about tangible government initiatives and more about fostering spontaneous action that requires no legislation. The Big Society can come across as being about a bit of volunteering on a Sunday morning, or giving some new power or other to councils. But it has always had greatest resonance and clarity when the public are confronted with instances of social breakdown. It is only when people see tough government leadership to stimulate responsibility working alongside more assertive communities that the message finally cuts through. 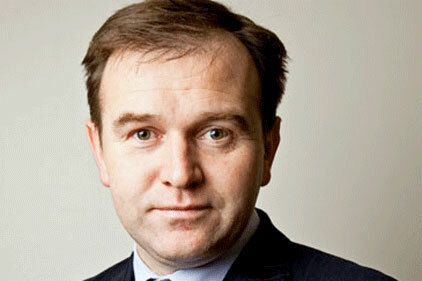 George Eustice is Conservative MP for Camborne and Redruth and a former press secretary to David Cameron.